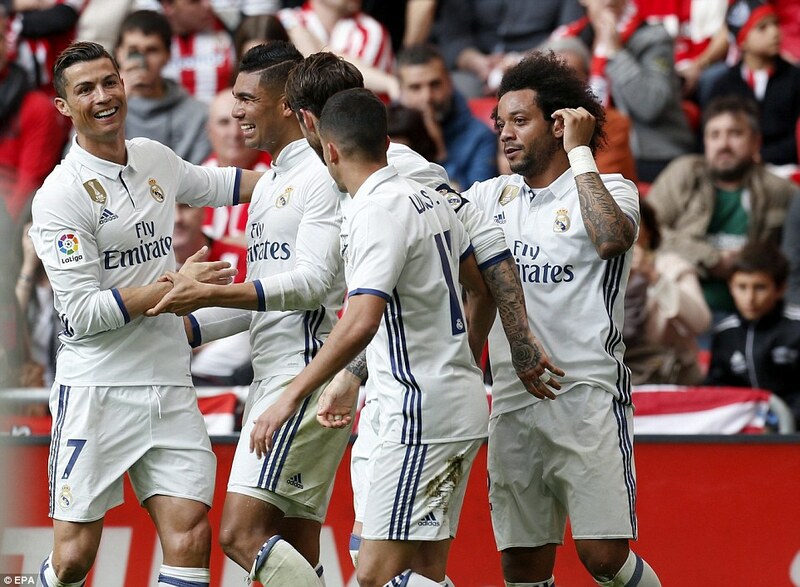 Real Madrid took a huge step towards the Spanish title with a 2-1 win over Athletic Bilbao. 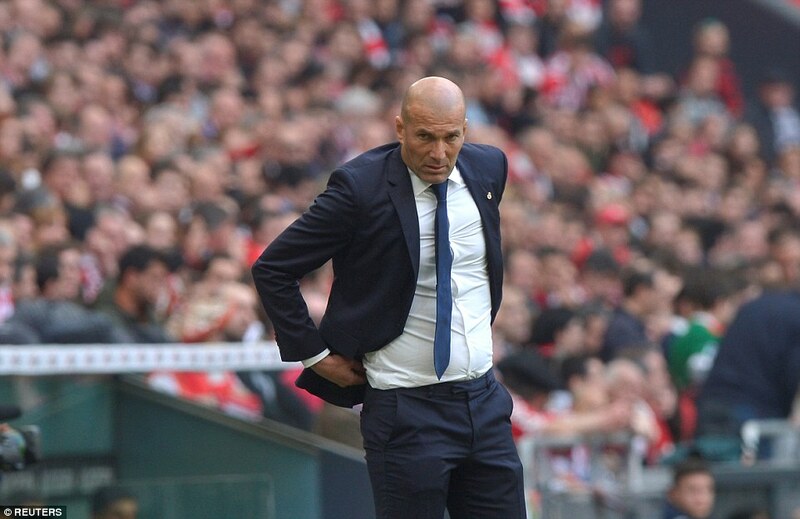 This was potentially Zinedine Zidane’s team’s most difficult away day between now and the end of the season but they went five points clear of Barcelona at the top of La Liga with a 2-1 win. 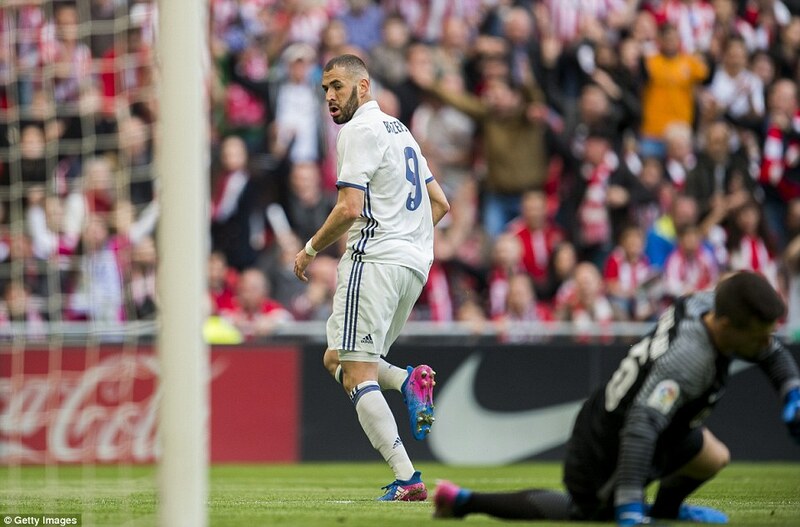 Karim Benzema scored his sixth goal in as many games against the Basque side to open the scoring. 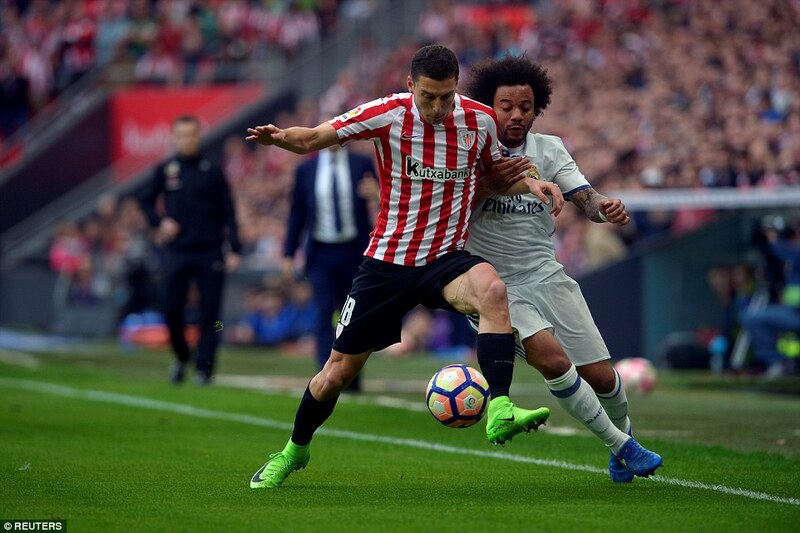 Aritz Aduriz levelled but Casemiro got the winner just three minutes later. 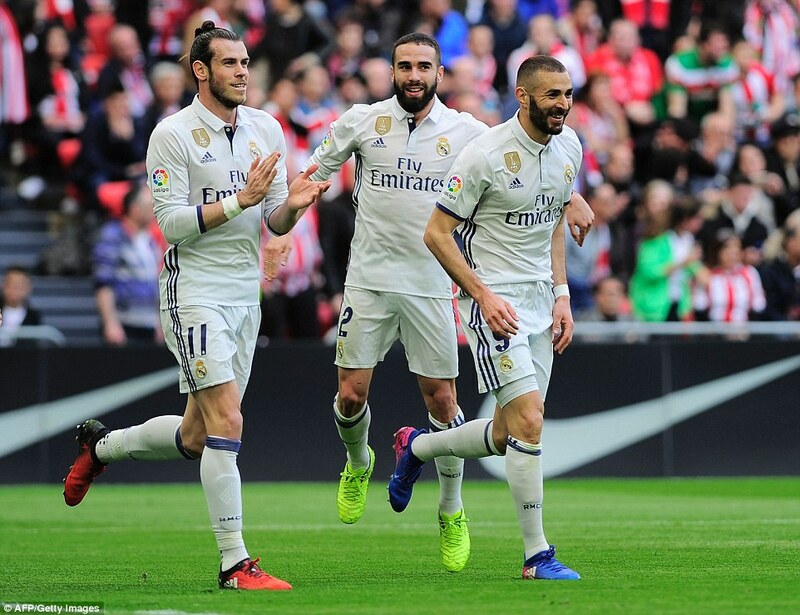 It was a hard-fought win but Madrid had to struggle and both Luka Modric and Cristiano Ronaldo made way as second-half substitutes as Zidane tried to give his side some freshness in the last ten minutes. 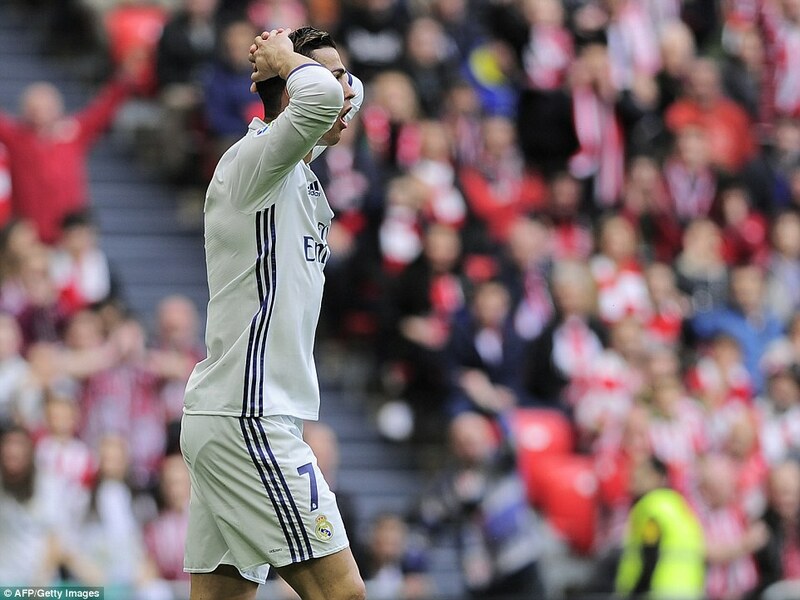 Real Madrid thought they had taken the lead on nine minutes of the first half when Cristiano Ronaldo converted from Dani Carvajal’s pass. The flag was raised with Ronaldo offside when he received Carvajal’s pass. 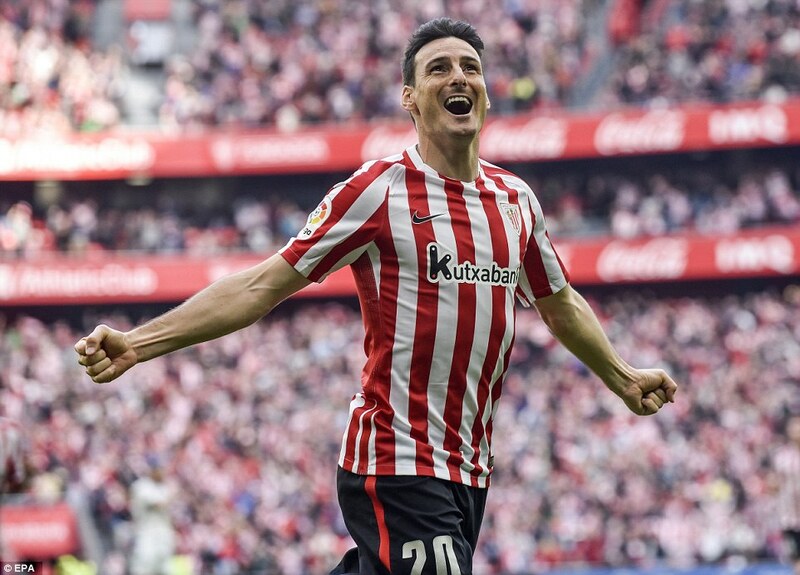 The Portuguese was looking for his first goal in Athletic Bilbao’s new stadium, he will have to wait another year to break that particular duck. 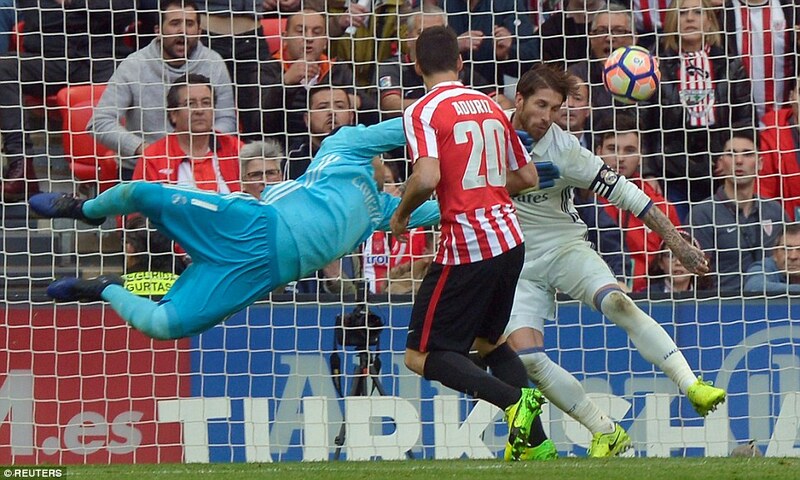 On the quarter-hour Yeray Álvarez could have put the home side 1-0 shooting wide past the advancing Keylor Navas. 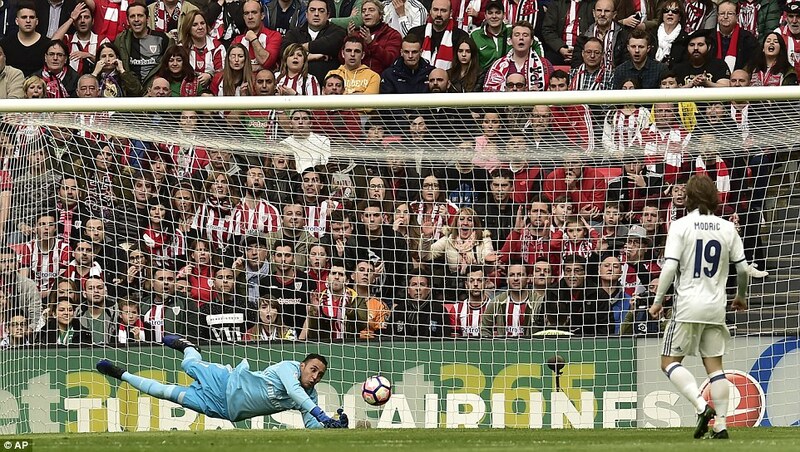 Ronaldo then had another chance but Kepa Arrizabalaga pushed the shot away. Neither side could break through and even the old one-two of Toni Kroos set-play and Sergio Ramos header, was off target. Casemiro then cynically hacked down Iñaki Williams but referee Jaime Latre let-off the Brazilian midfielder. 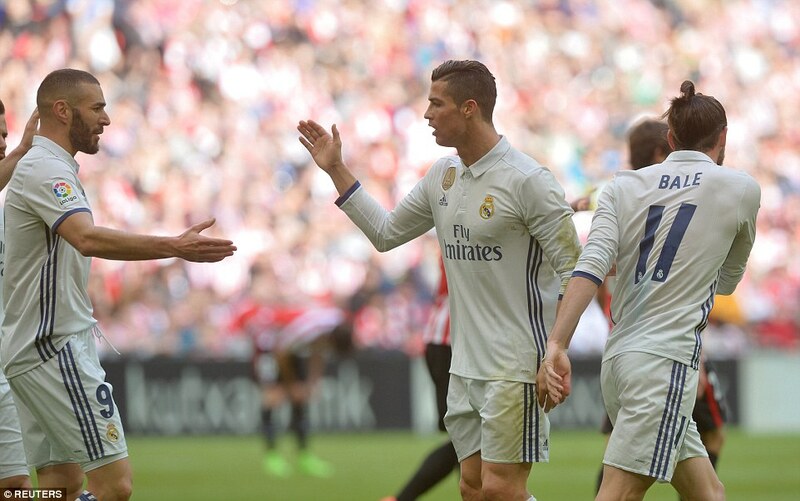 Casemiro then made the games first goal with a superb long pass that sent Ronaldo down the left. 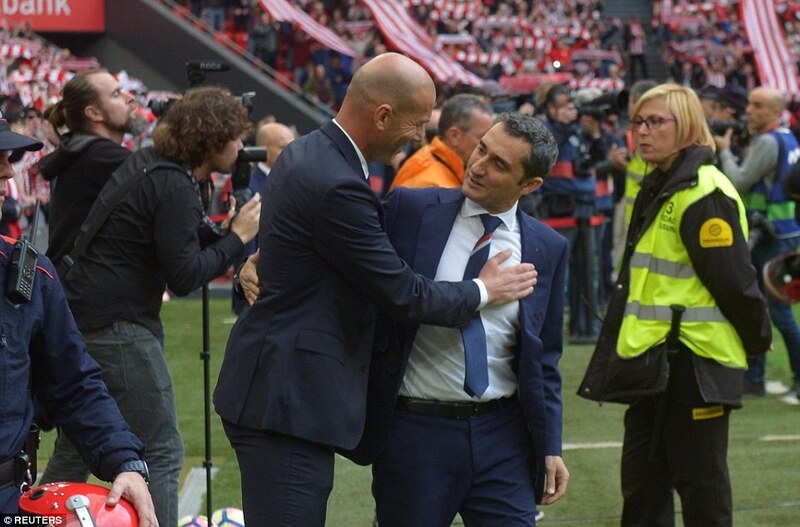 He took just one touch before releasing Benzema who scored past Kepa. The game ignited shortly after when Raul Garcia kicked Nacho and went unpunished. 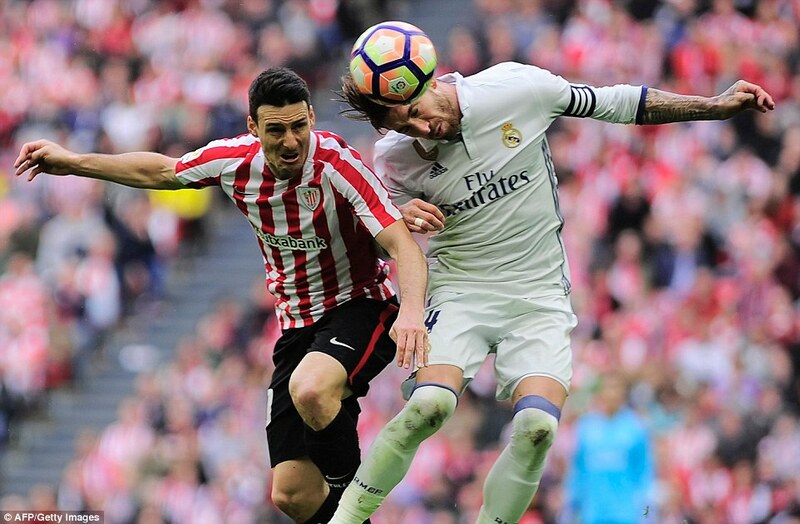 A pushing match ensued and Aritz Aduriz and Dani Carvajal were both booked. Casemiro should have been cautioned too but it was not long before he entered the referee’s book for foul on Aduriz. In the second period Athletic looked to get Williams down the right more and Marcelo suffered as a result of the new tactic. Madrid were struggling to put the game to bed with Modric uncharacteristically anonymous in midfield. He was taken off on the hour but almost immediately Athletic scored. First Williams shot low, first time, from Oscar de Marcos’ cross but Keylor Navas got down well to make the save. But with their next attack they had the leveler. 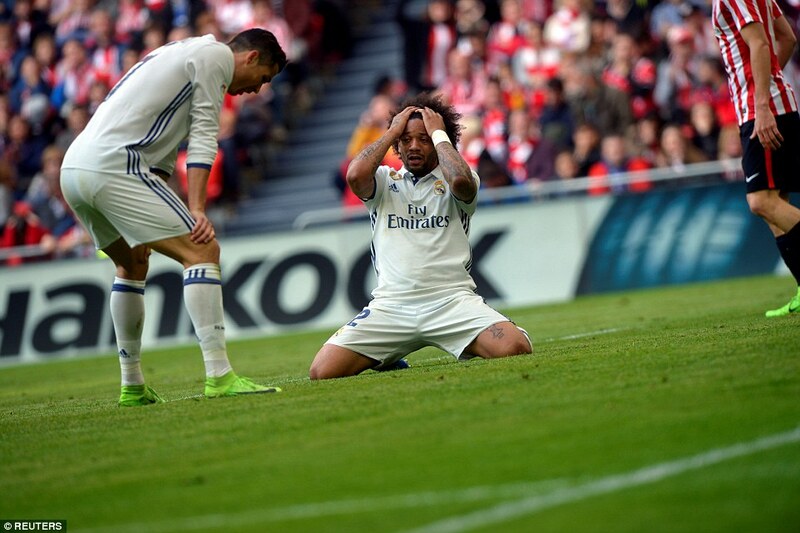 Predictably it was down the Real Madrid left where once again Marcelo was no match for Williams. 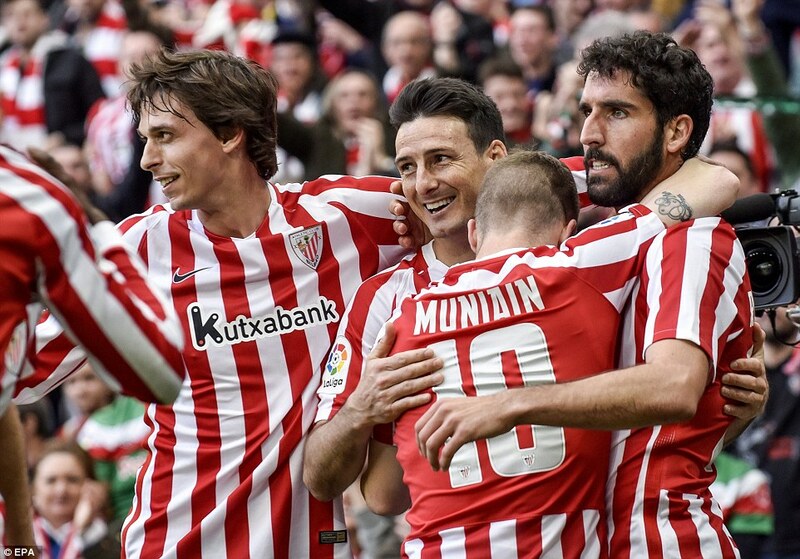 The Athletic forward bent a fine far-post cross to Raul Garcia who cushioned a clever header back to Aduriz who headed in from close range. 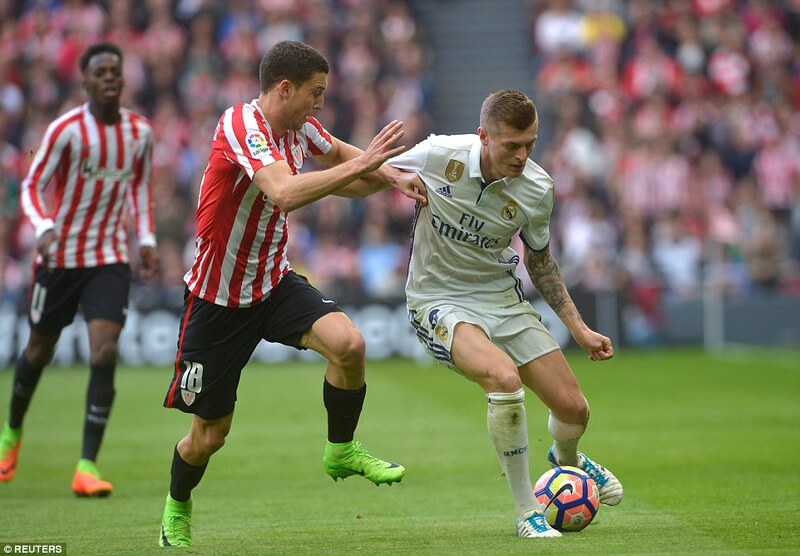 The equalizer was no more than Athletic deserved but they ruined their good work in just three minutes when Real Madrid took the lead again. The corner came in from the right and was flicked on at the near post by Ronaldo. Athletic are usually so effectively in both penalty areas but inexplicably Casemiro had been left all alone with so much time and space that he had four touches as he scored. 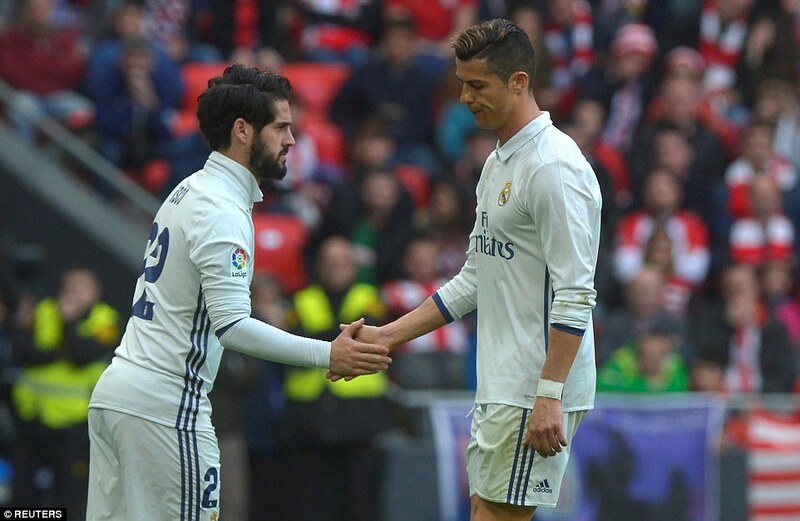 Ronaldo did not look too impressed when he was hooked with 10 minutes left but the desired effect that Real Madrid kept the ball in midfield and got themselves over the line. 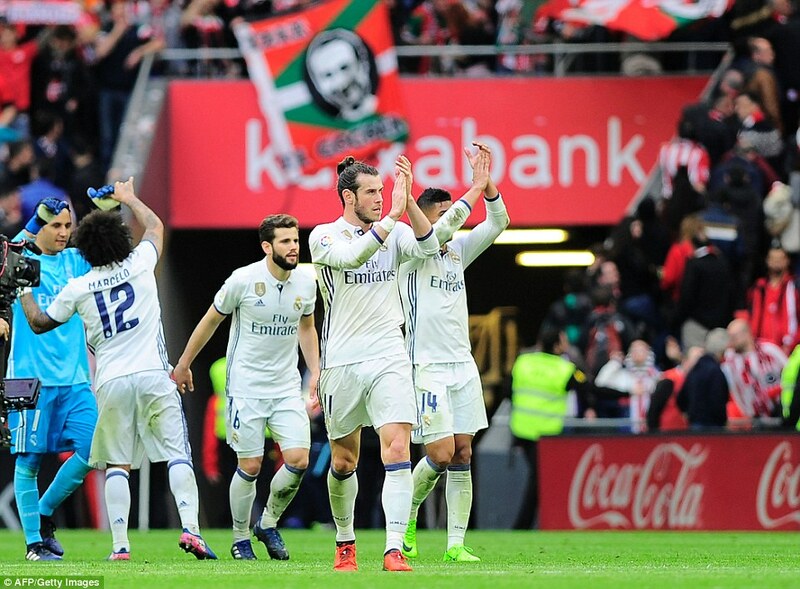 They saw out the final minutes with Gareth Bale lending Marcelo a hand at left-back to keep Athletic at bay. The pressure is now on Barcelona to take three points on Sunday against Valencia.